Law Office of David M. Goldman PLLC represents individuals and families in Jacksonville and Florida with their Florida Asset Protection needs. Our Florida Asset Protection Attorneys and Florida Asset Protection Lawyers work with high net worth individuals and families. Often Individuals can rely upon the law of Florida to offer protection from creditors of certain assets. To take advantage of these protections you must be a permanent resident of Florida. If you are the head of your household, your earnings can be protected under Florida Statute 222.11 from garnishment. Prepaid college plans are exempt from creditors under Florida statute 222.22. Florida Statute 222.21(2)(a) also protects certain qualified retirement accounts from your creditor's claims. 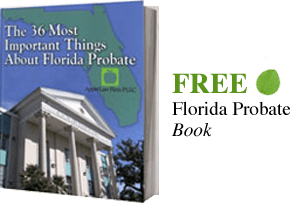 Florida courts have included Annuities in the exemptions. These include private annuities as well as those from the settlement associated with an injury suit. Disability income is generally exempt from your creditors in Florida. Medical savings accounts are exempt from creditors under Florida statute 222.22. Florida residents may protect up to $1,000 in automobile equity. Life insurance cash value is exempt from claims while alive. (policy must self insure or insure a Florida resident). Unemployment benefits are exempt from creditors under statute 222.22. Prepaid college plans & Florida 529 plans are exempt from creditors under Florida statute 222.22.